Hi everyone! :-) This is day 14 in the 31 Day Challenge and today's theme is flowers. I have to say the whole mani is a little bit too tacky for me, haha, but being a tad different than most of my manis, I enjoyed working on it very much. 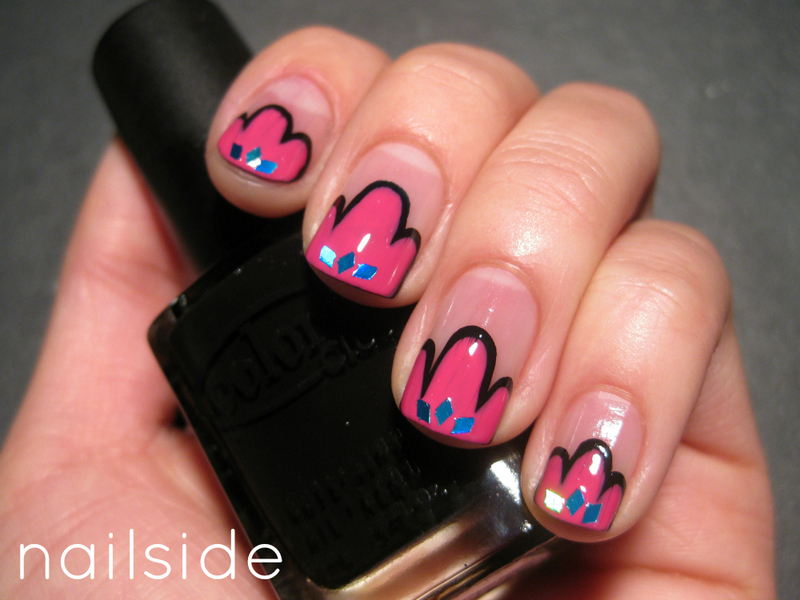 I used my trusty cloud design method to draw the petals, first with a black, then with Essence Ultimate Pink. 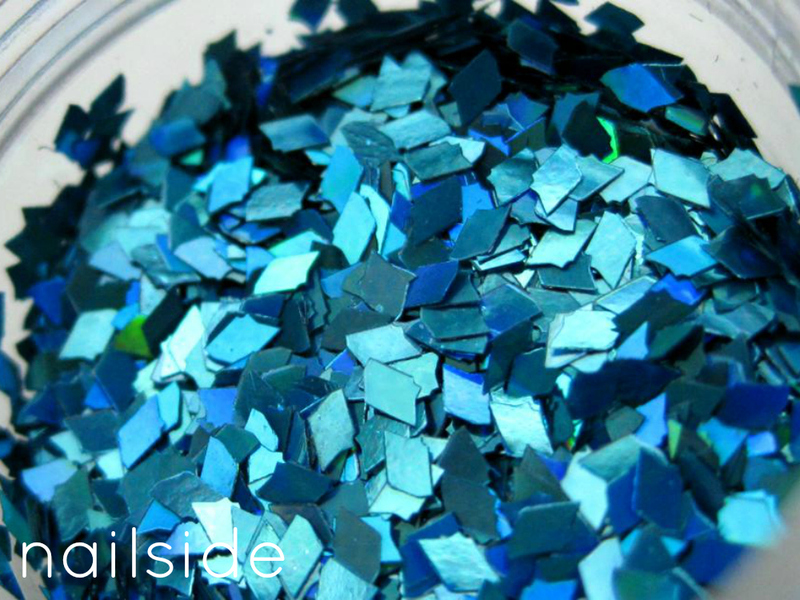 Then I added the blue, diamond-shaped glitters for a bit of contrast. I don't use loose glitters often, but I immediately fell in love with these from Essence, named Shine Like A Star!, which I bought about a year ago. It doesn't show on the pictures, but they're actually holographic, which makes them even more awesome. Can't wait to use them again. :-) Thanks for dropping by! Cute! The way the glitter is placed, they kind of look like cute pink crowns :) I did flowers today too! Haven't posted about them yet, but I will soon. these are really cute! i love the addition of the glitter. This doesn't look heavy which I like! Love it! The black really makes the other colours pop! Your MOONS! 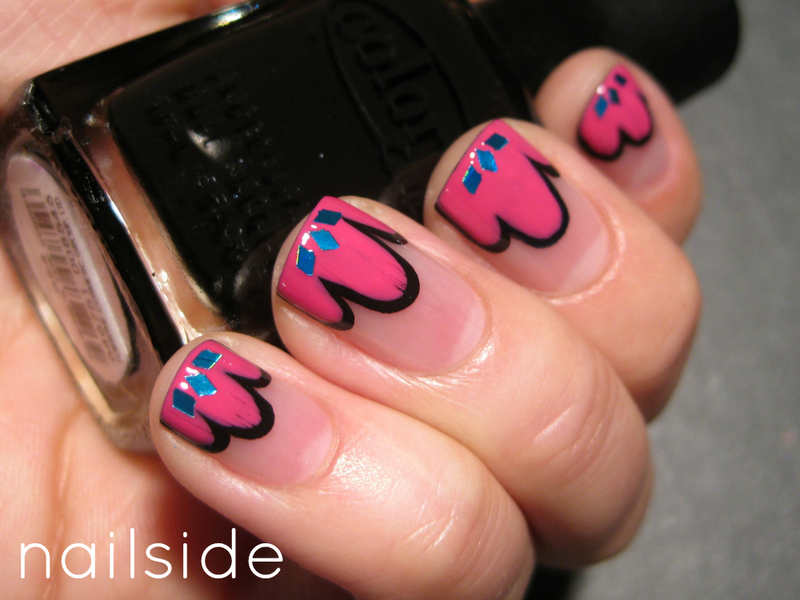 I have the envy..
You really have beautiful nails ! this is so pretty! i love that glitter!! These are really nice! Congrats! This is beautiful! Simple, classy and festive!